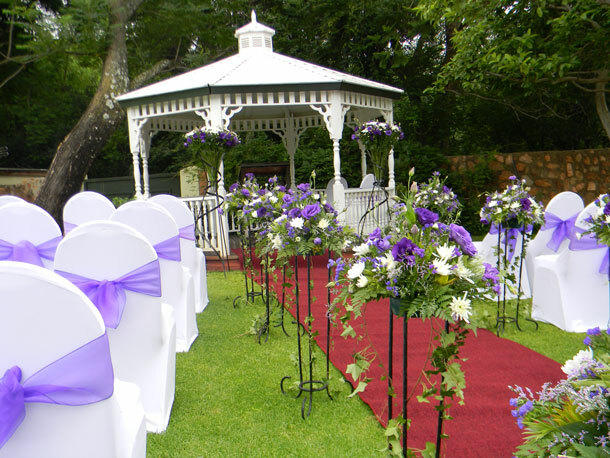 Because of its natural beauty, Hunters Rest in Rustenburg is a wonderful setting for weddings. Our popular resort has so many picture perfect photo opportunities and it will make your special day a memorable experience. Professional decorators are utilized and we have a network of wedding coordinators we work with or we can meet with your coordinators. 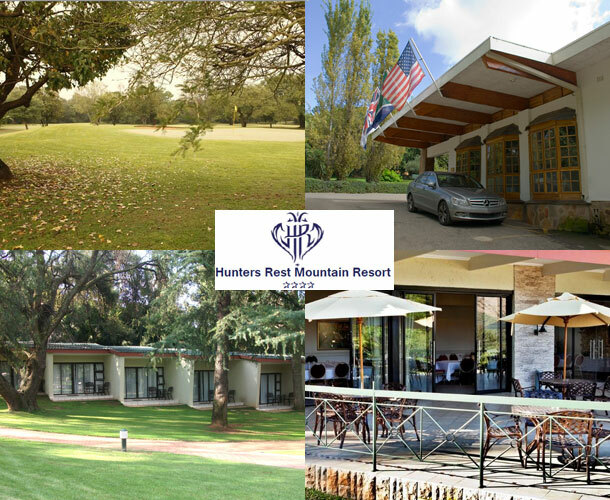 Hunters Rest is well situated to cater for any type of wedding function your heart could desire. The setting is for a garden wedding and is lovely during the summer months. This deck is situated in the nature reserve and is a one-of-a-kind setting and the only view point in this area to offer this unique venue for saying your vows. The deck is perfect for an intimate romantic wedding with only a small number of guests. The deck can only accommodate 40 people. Afterwards a reception can be held in any one of our four banquet rooms. The resort has four conference venues that can accommodate between 20-200 people. The large outdoor patio overlooks the lush gardens and bowling green. We offer snack platters, hot or cold drinks, cocktails and beverages from the bar. For those special occasions we offer sundowner cocktails and hors de oeuvre served overlooking the beautiful Olifantsnek Dam and the Magalies Mountains. We have a limit of 30 people on the deck and advance reservation is necessary. To book your wedding here please visit Hunters Rest Mountain Resort for further details or to send an enquiry.